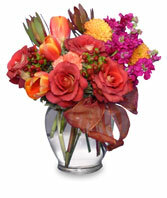 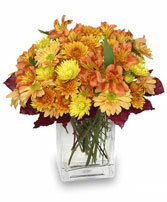 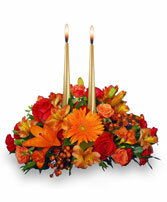 Fresh flowers bring life to Thanksgiving dinner table. 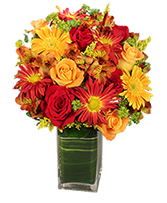 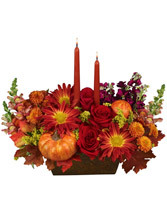 Their colors add a sense of festivity to any Thanksgiving celebration; deep red, orange, burgundy and golden yellow with their richness and warmth. 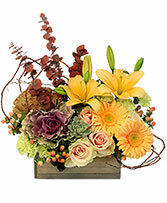 Fall blooms are nature’s last great show before winter sets in, and just like Thanksgiving celebrates abundance, nature celebrates the end of the growing season by providing an abundance of beauty, as is evident in the flower pictures below. 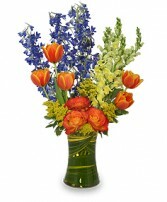 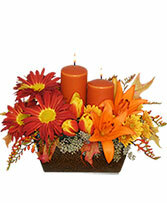 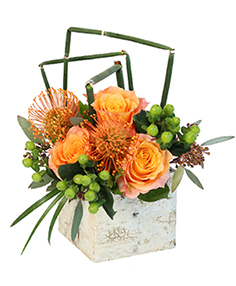 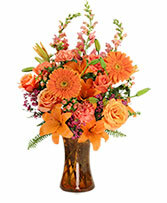 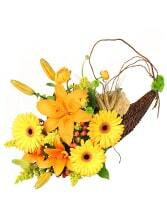 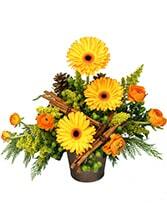 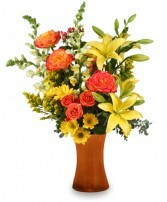 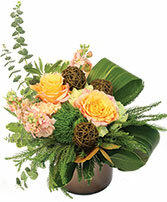 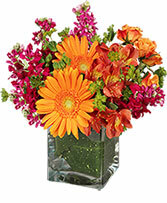 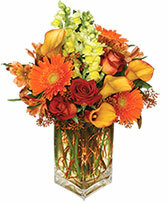 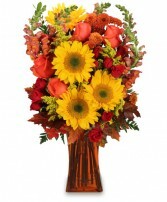 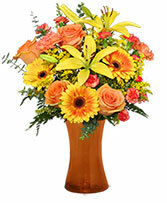 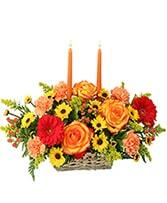 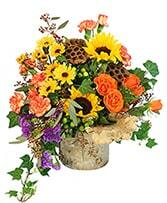 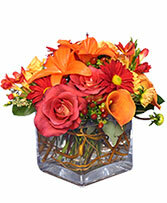 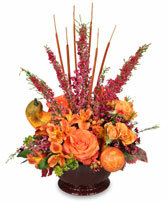 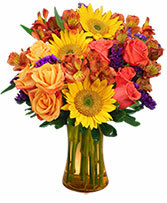 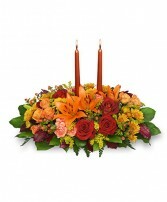 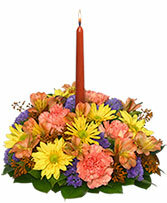 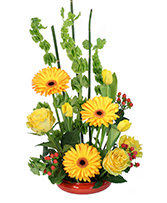 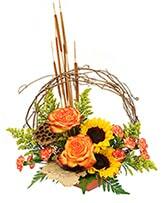 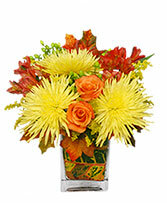 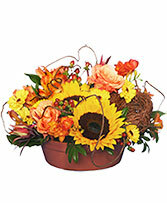 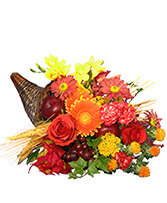 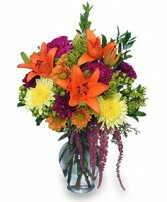 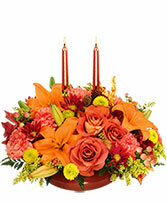 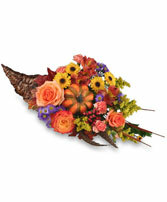 Pick an arrangement that will match your Thanksgiving decor. 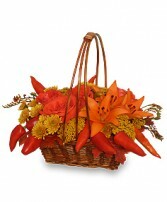 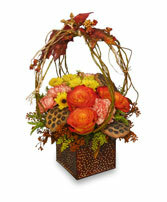 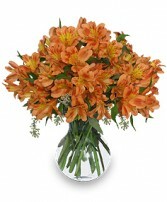 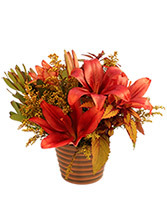 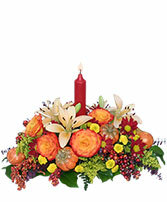 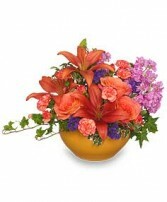 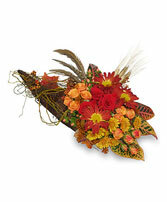 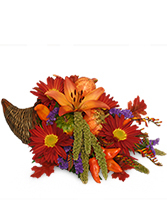 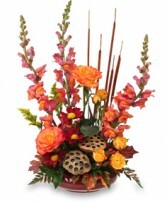 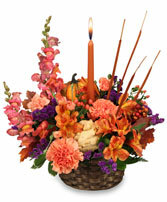 Cornucopias - a traditional symbol of abundance - have been a popular choice for Thanksgiving centerpieces for generations. 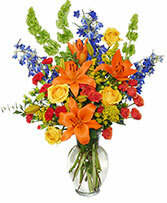 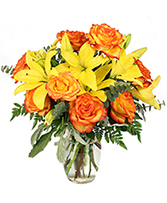 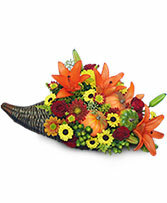 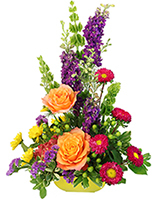 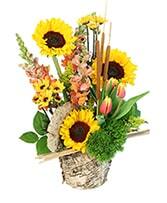 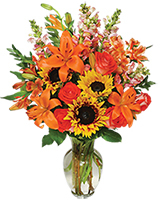 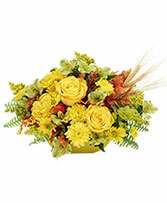 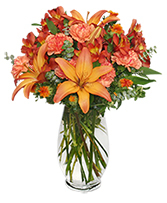 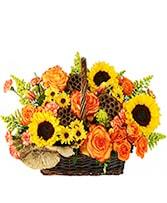 In the event that you aren't able to be with your loved ones on Thanksgiving Day, sending flowers is a great way to let them know you're thinking about them.